This week's post for French Fridays with Dorie is going to be short and sweet. Short because I am rushing around trying to finish preparations (and a massive amount of cooking) for our Halloween party, and sweet because it is cake! 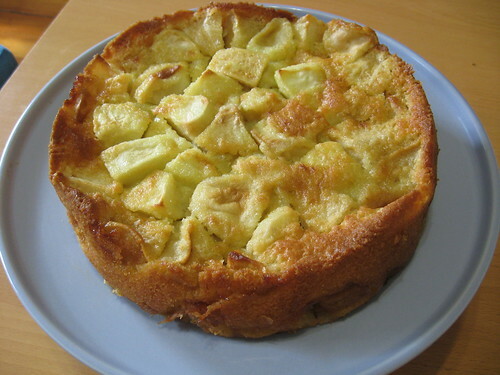 I considered skipping this week's recipe, Marie-Helene's Apple Cake, but the recipe seemed so easy (and, hello, cake), that I decided to give it a go yesterday. Just as I had hoped, this cake was little work for a very tasty reward. The most "difficult" part of the recipe is peeling and chopping all of the apples. 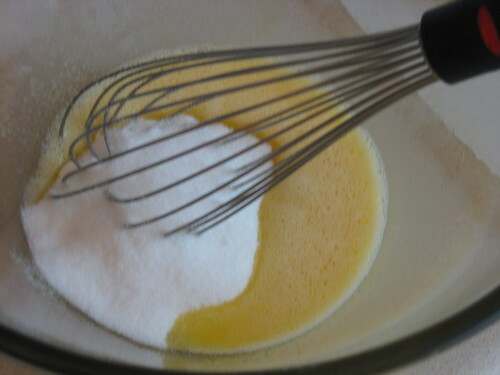 I didn't even need to pull out my electric mixture (for which I was very thankful, considering that I had to wash it three times over for my other cooking projects). The thin batter wrapped around the copious apple chunks, and baked up like a custard with a slightly crisp, caramelized exterior. The apple flavor, from a quartet of different apples, was definitely the star, but it was made even more delicious by the addition of vanilla and dark rum. Eating a slice of this cake was definitely a nice break from a very harried week, and I am glad that I took the time to bake it. For the recipe, grab a copy of Around my French Table (it is well worth it). 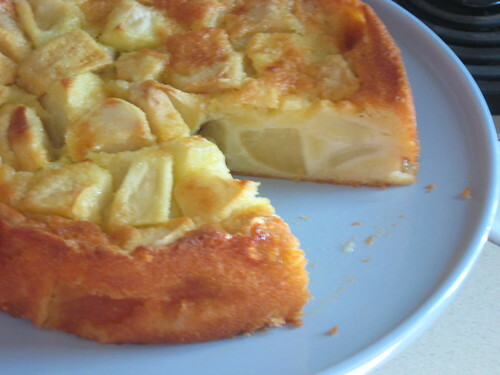 As usual, click over here to see more delicious apple cakes from my fellow Dorie-philes. Update: Steph at A Whisk and a Spoon pointed out that Dorie shared this recipe on Epicurious, so you can find it right here.